Progress from limericks to lyrics. Remember 50 States is a song celebrating the USA. Great fun for group singing. Find the telephone area code for US and Territories, and Canada in this handy directory list suitable for printing out in numerical order. You want to know where is the area code for an American or Canadian state is located? You will find the answer here. 670 : CNMI = Commonwealth of Northern Mariana Islands. A Phonetic Alphabet list for printing from a pdf document can be found here: Spelling Alphabet for speech recognition. Pin it up near your computer (or phone) and with your headphones on you are ready to sound like a pro. A video version for the numbers used with this international NATO alphabet. Running through the videos repeating the letters as the flashcards come up gives you a fluent competence with this system. 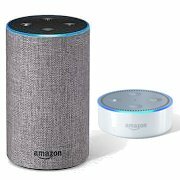 Got an Amazon Dot or Echo? Get your copy delivered immediately. $0.99. Just say: 'Alexa, order a copy of States & Capitals USA by William Clark from the Kindle store. You can start learning your states and capitals within 3 minutes from now! Our Flag Stays Flying Free Learn how to write a patriotic song and win an election. Video Our Flag Stays Flying Free Read lyrics and follow tune. 50 States alphabetical order links to states' websites.